Volvo Cars support of British sailing and their partnership with RS Sailing means our RS Association members and RS boat owners can benefit from this hugely valuable offer; as well as servicing, finance and accessory deals at your local Volvo Retailer. The offer is straightforward: a generous discount for RS Association members and RS owners on your choice of new Volvo, helping to make it a highly cost-effective purchase. This comes on top of a retailer discount, an attractive range of finance packages and a variety of accessories and options. Free metallic paint is even thrown in. 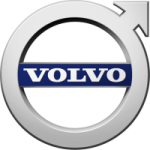 To find out more about the Volvo RS Affinity Scheme, click here. Volvo have a long standing relationship with sailors, particularly the support provided to British Sailing. And, of course, the cars provide fantastic towing capabilities, comfort and performance. The RS Affinity programme offers further support to sailors, with a generous RS member and owner discount on your choice of new Volvo. But that’s not all, because by choosing a Volvo, you’ll have the reassurance that comes from driving one of the safest cars on the road. Our V40 achieved the best score ever recorded by crash testers Euro NCAP, and every vehicle in our range features industry-leading technology that actively reduces the risk of an accident. This includes equipment like City Safety, which prevents collisions in built-up areas, and the option of equipment like Blind Spot Information System (BLIS), to facilitate safe lane-changes on motorways. In addition, our cars make extensive use of passive safety equipment, designed to protect you and your passengers if the worst should happen. The list includes multiple airbags and our pioneering Side Impact Protection System (SIPS). Thanks to technology like this, Volvo is able to make a unique pledge to motorists around the world. By 2020, we aim that no one will be killed or seriously injured while travelling in one of our new cars. That’s another number to remember, but we reckon it’s a pretty important milestone in road safety. Talking of milestones, you’ll be pleased to hear that buying a Volvo through our RS Affinity scheme can help keep a lid on your day-to-day motoring expenses. As a result, you won’t need to worry about costly repair bills as the journeys stack up. We offer a range of servicing options, 3 services for £399 or 5 service for £599, meaning you can secure up to five years of fixed-price routine maintenance for an up-front fee that can be added to your finance deal. Even better, Volvo leads the way in building cars that combine fuel economy with impressive performance. Our D4 turbo-diesel engine, for example, is used across our range and delivers the perfect blend of optimal power output and exemplary energy efficiency. Our engines are also designed to keep carbon emissions low, thereby reducing your impact on the environment and helping cut the cost of annual road tax. This all combines to create an ownership experience for RS Association members and RS owners that is enjoyable, responsible and surprisingly affordable.